The following was taken from Wikipedia. 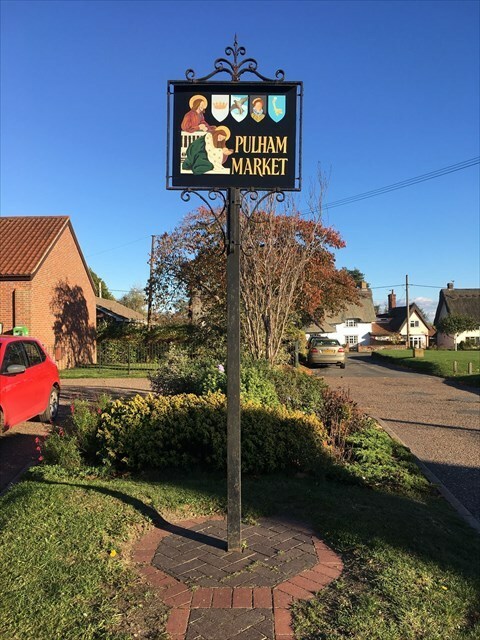 Pulham Market and its sister village Pulham St Mary are situated approximately 9 miles (14.5 kilometres) north of Diss in Norfolk, England. It covers an area of 12.08 km2 (4.66 sq mi) and had a population of 999 in 443 households as of the 2001 census, the population falling to 977 at the 2011 Census. It once had a station on the Waveney Valley Line which is now closed. he village was struck by an F0/T1 tornado on 23 November 1981, as part of the record-breaking nationwide tornado outbreak on that day. Another tornado later struck nearby Pulham St Mary.